Did you know that teddy bears are named after former United States President, Theodore "Teddy" Roosevelt? The soft toy, created by Morris Michtom (U.S.) and Richard Steiff (Germany) in the early 20th century, has become one of the most iconic and loved stuffed toys for children worldwide. 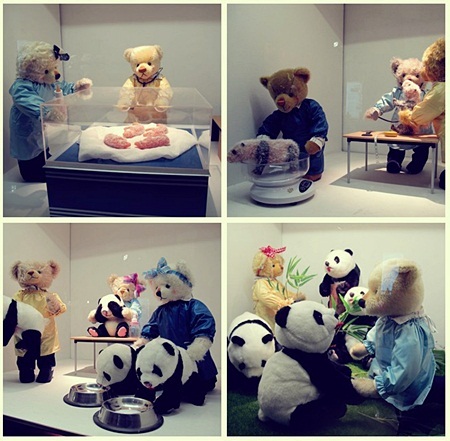 So much so that there is a plethora of museums around the world dedicated to teddy bears. 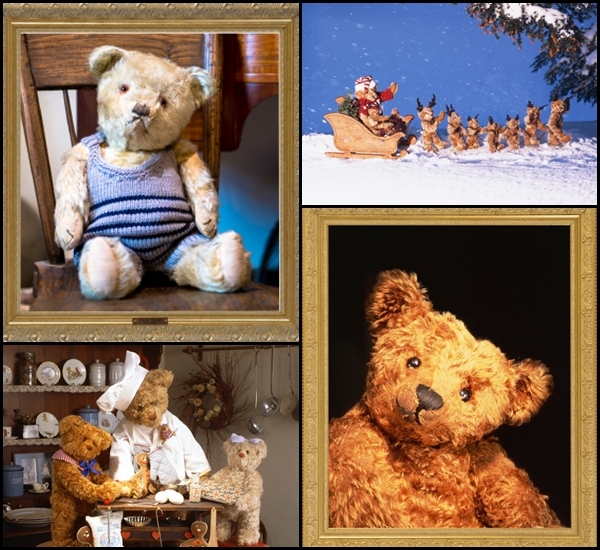 The first ever Teddy Bear Museum was established in 1984 in Petersfield, England by Judy Sparrow. It has ceased operation in 2006 but teddy bear lovers, fret not, its establishment has after all inspired many more that are still standing today. Even right here in Asia, there are plenty to choose from. We pick five of our favourites, listed below in no particular order. Of course we have to start off with one of the most well-known teddy bear museums. 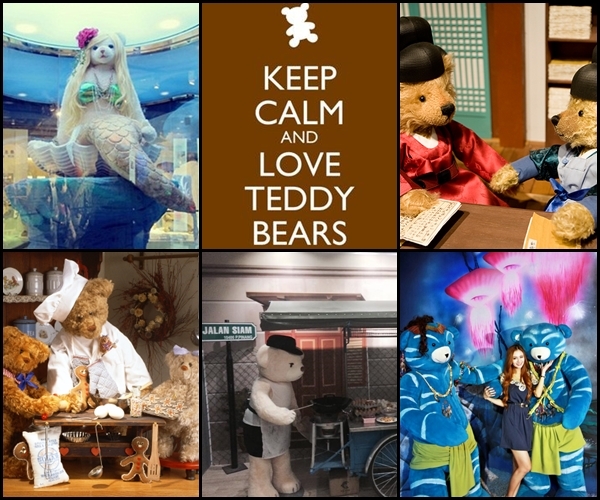 Located on the island of Jeju in South Korea, this museum boasts a wide array of amazing teddy bear collections. Some of these are even animatronics, though the museum promises to keep its “Teddy Bear’s technology in a nostalgic and analog way”. Each of the bears is handcrafted by experienced designers from JS&F (a company specialising in manufacturing dolls and doll clothing). 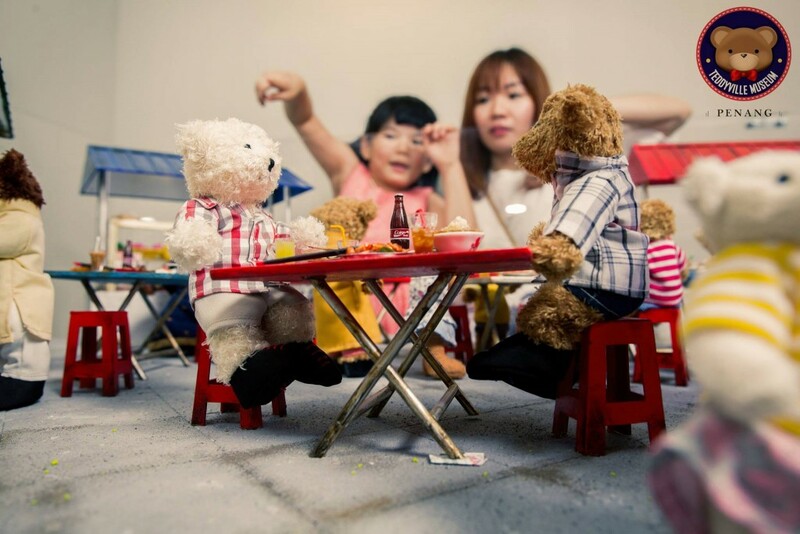 The bears are posed in various dioramas and displays that tell stories and/or parodies famous historical art pieces, and can be found in the three sections: the History Hall, the Art Hall and the Project Exhibition Hall. Take a little break at the museum café or bar after the one hour tour and enjoy the scenic view of Jeju. Highlight (s): Tiny Ted (made in 2006, it is the world’s tiniest teddy bear at 4.5mm), Steiff & Louis Vuitton bear (sold at a charity auction for USD2.1 million in 2000, it is the world’s most expensive bear). Well-known for being the home to so many adorable cartoon characters, understandably Japan will not miss out on having a museum dedicated to one of the most adorable things ever created. This museum has a very English air to it, what with the tea room, trimmed gardens and antique bears. 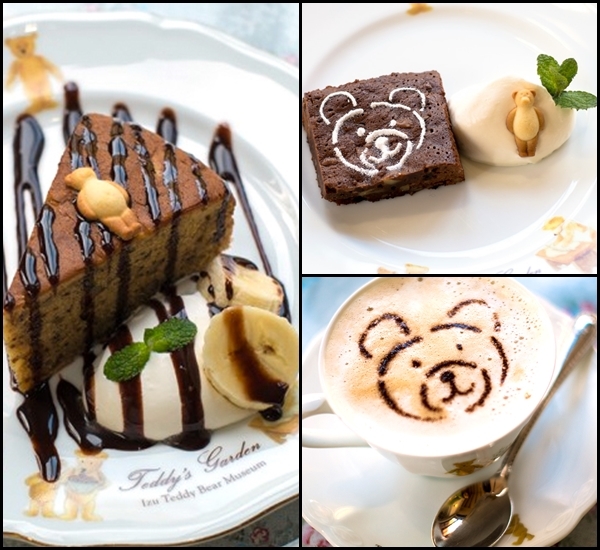 The tea room at Teddy’s Garden provides quite a delectable selection of scrumptious treats, most come with a little bear too adorable to eat. Attractions and displays at the museum include animated dioramas, “Teddy bears’ factory”, “Teddy bear express" and "Bears' amusement park in the wood." If you happen to be in the area of Nasu instead of Izu, there’s also a teddy bear museum there by the same parent company. Highlight (s): Guinness world records holder, the Teddy Girl (Most expensive teddy bear of antique origin), pictured in the bottom right photo above. Its website states that the museum is “Malaysia's first and largest collection of Teddy Bears from various nations and eras; as early as the 1900s”. The museum is fairly new, set to open sometime this year, so far all the pre-launch packages are already sold out. The 9000 square-foot exhibit located at DoubleTree Resort by Hilton promises educational tour and cultural exposure. What’s unique about the museum is its Mini Penang exhibit. Here visitors get to learn more about the history and culture of the Pearl of the Orient via the collection of tiny bears that impart knowledge in the most adorable way – the bears are set in small sets that depict the island’s way of life and many attractions. Highlight (s): Look out for the world’s smallest cendol stall! Despite being located in Thailand, the museum is actually the brainchild of a Korean man who enjoys travelling in the country, and upon seeing the locals’ love for photo-taking (who doesn’t selfie or wefie these days? ), decided that there should be a museum where people get to learn in a “photo-tastic” way. Hence why the museum leans more toward the likes of trick art museum, where visitors get to insert themselves in the exhibits with the bears and take cool and funny photos. There’s even a display of the word “TEDDY” but minus the Y, guess who gets to be the Y? Made with the concept of “travel treasure hunting with Teddy Bear”, the dragon boat-designed museum is separated into 12 zones, each with its own theme: Inca Zone, Dinosaur Zone, Fossil Zone, Africa Zone, Thailand Zone, Under the sea Zone, Eskimo Zone, Santa town Zone, Space Zone, Fairytale Zone, China Zone and Europe Zone. Touted as the world’s largest Teddy bear museum, this Chengdu attraction displays a collection of more than 1,000 stuffed bears on more than 10,000 square meters. Just as in the aforementioned museums, the bears are posed as stand-ins for humans in the many displays. 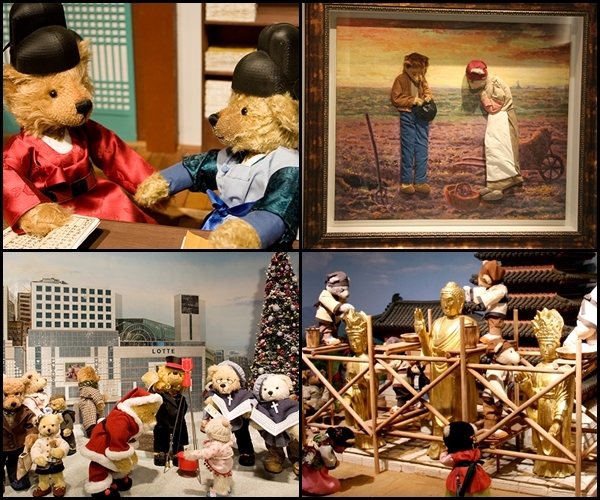 Some of the scenes recreated by the bears depict the lives of the Chinese and South Koreans (yes, Korean artists helped to design this museum too). 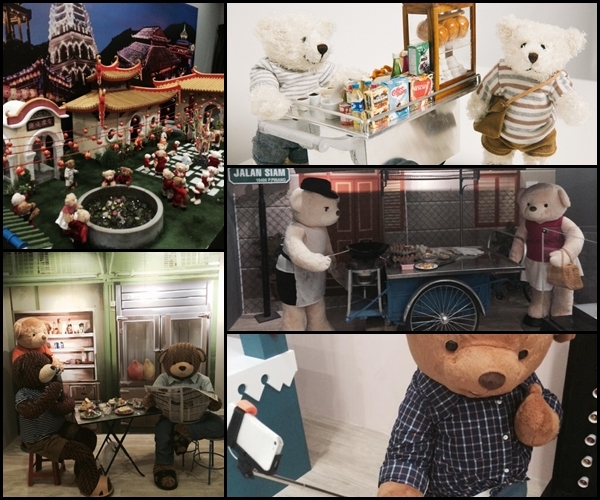 The displays are similar to its Korean counterparts since the museum is done in partnership with the Korean Teddy Bear Museums chain. 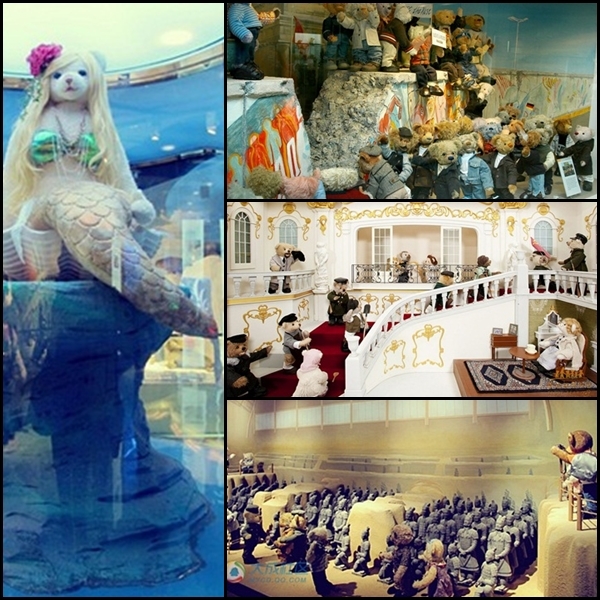 Divided into 12 exhibition halls, each hall has its own theme such as The World, where teddy bears are posed alongside miniature versions of the Seven Wonders of the World; The Art Gallery, where teddy bears become part of the historical art pieces; Sea World, complete with a Teddy mermaid; and more. Highlight (s): The panda section, where teddy bears pose as caretakers of China’s iconic giant pandas (pictured above). an original Teddy Roosevelt bear circa 1903 has been discovered in Dublin, California. Hand made by Morris and Rose Michtom of Brooklyn, New York. The Michtom's made so few of these first style Teddy's. they were lost in time, Until Now. Please see Google = By Robert Csech to read more and to see amazing pictures. Also see Dublin Patch By Robert Csech. the Smithsonian bear. My bear is so unique, he belongs in the Smithsonian Institute someday.